A close friend died this past week. It hasn’t been a good half of year for that in my world. I’m reminded of the importance to live for the moment AND the future. You don’t sell out your future for the moment, but you also don’t sell out your moment for the future because you don’t know how much of a future you have left. I have learned to live in the present. I used to think so much about the future. I’d work for the future, I’d dream of the future, and I’d long for the future. I sold out the present as inferior to what was out there down the road. But in doing that, I didn’t give value to the only thing that I had which was that day, that hour, and that minute. The interesting thing about the present moment is that it’s slipping through your fingers. You can never get it back. The future seems to always be out of reach, but the present is in your hands. You can make it great. You can squeeze everything out of it but you cannot keep it. The future will come so just let it. Don’t wait on it. Don’t look to it. Make the most of what is now and the future, when it becomes the “now,” will be more of what you want it to be. I have the craziest best fans. 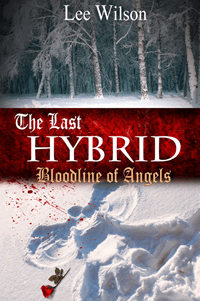 Kelsey wanted her copy of The Last Hybrid: Bloodline of Angels signed and was pretty darn excited that I was in the area and able to sign it. I decided not to press charges for the injuries sustained after she tackled me. Oh The Meetings We Can Have! 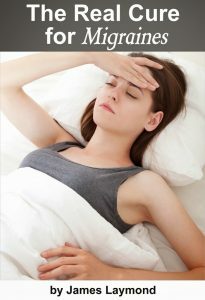 My new migraine book is out under my pen name so I’d like to share my story about how I used to suffer from migraines. I used to have terrible migraines. I had them almost every day. They were so bad that they altered my life dramatically. Surely this woman doesn’t realize how bad this looks. But taking something away from a little kid is just so wrong! Watch via the link below. Last week was exciting! I snagged not only my first view of a tornado, but snapped a picture of it as well. It was over the ocean, which means it was technically called a water spout. It only lasted about five minutes so I was thrilled to have been in the right spot at the right time. Take a look below and look closely toward the center of the image. 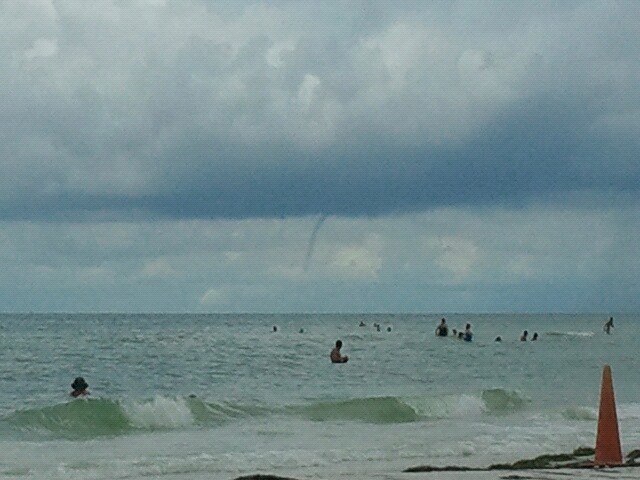 This was right after it had touched the ocean and was its largest! It’s now starting to pull back up.